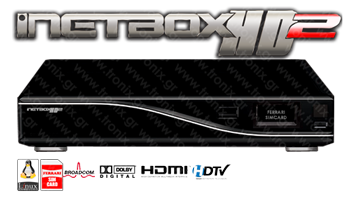 The iNETBOX HD2 support multiple HDTV standards, including MPEG4/H.264 - An improved power supply unit is included which will finally solve all previous PSU-related problems for good . A USB 2 port is also included as well as the standard RS232 serial port and Fast Ethernet port (no Gigabit ) It looks like the front of the box will house a multi-function (10) card reader so that you can easily load/access data, photos, mp3 etc. The LCD display has increased in size to 3,5x 5.5 cm. Naturally Linux is still the operating system, however it will be packaged in an 'easier to use form'.